Strategy and Project Execution is nothing without measuring results. Powerful timesheets are the best way to collect actuals and status to provide clear information for portfolio and project tracking. 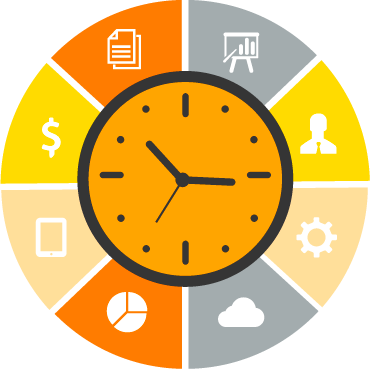 Triskell allows users to book times not only on scheduled tasks as most of the other products but also on any object like deliverables, risks, issues and tickets. Timesheet displayed by week or month (one full week or one full month) and Time entry by day, week or month (i.e. a value per day, per week or per month). Triskell advance roll-up functions combined with advanced resource rates management, allow automatic update of progress and calculate costs according to actual time spent. Triskell supports up to 4 axes for time entry and analysis: for example, billable Y/N, type (internal, customer). Triskell timesheet features go beyond simple time booking. 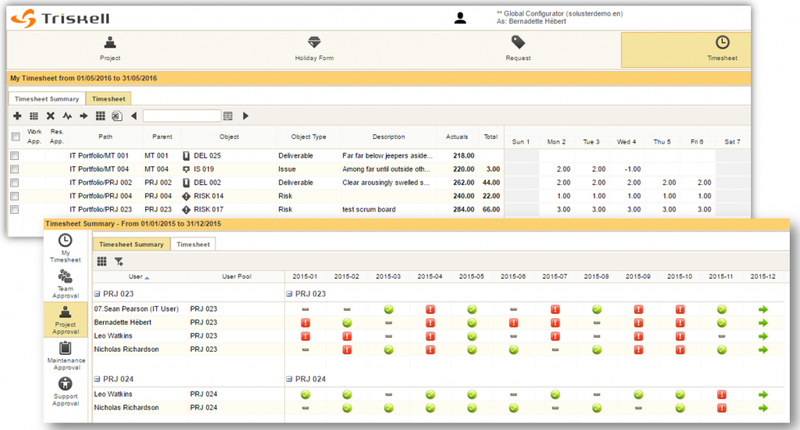 Users can enter the estimate to complete (ETC) per day for agile management. Any timesheet detailed timesheet entry can be commented, and history of changes (values and status) is automatically kept by the system.